Do you have difficulty relaxing during a massage? Do your muscles long for release? We all know that massages can bring us wonderful physical benefits, undoing knots of tension and helping muscles to relax. And this in turn can help the mind feel more calm. However it can be difficult to fully experience these benefits if you find it hard to relax during the massage itself. And when you are unable to relax in a situation that demands relaxation, this can make things even more difficult. Because feeling tense about not being able to relax in turn pushes you further away from the relaxation itself, and the benefits you seek. Maybe you feel self conscious, or have physical aches and pains that create distractions. Perhaps you simply feel too stressed from work or social demands to entertain the notion of tranquility. But massage can help you in so many ways. Because once muscles and knots begin to relax, the mind finds it easier to be calm. 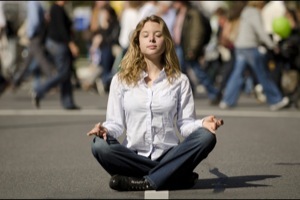 And a calm, peaceful mind in turn encourages physical tension to melt away. And the good news is that there is a way to help yourself feel more calm and open to a healthy, relaxing massage that can have untold benefits for your body and mind. 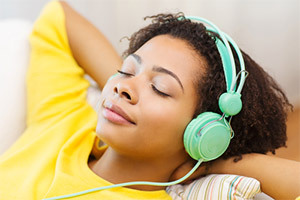 Relax During Massage is an audio hypnosis session that will help you feel a deep sense of ease. Feel better within yourself in general. Download Relax During Massage and enjoy the health benefits this can bring.